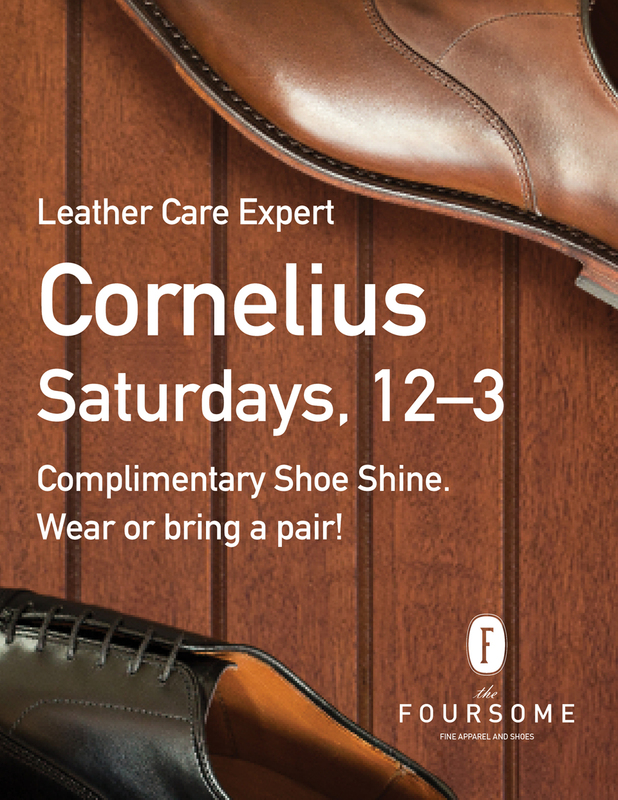 Meet Cornelius, The Foursome's shoe and leather care expert. Shoe shines are $10. On Saturdays from 12-3 pm, get one complimentary shine, and any additional shoes are $10. Wear or bring a pair!